I sometimes wish that my future self could just pop into my present world just to… you know… say hi, and let me know that everything in the future is going along just swimmingly. That never happens, but maybe I just haven’t given future me enough guidance. With this in mind… here’s a quick letter to future me. Now maybe 48 year old me will get crackin’ on some answers. Slacker. Hi. How’s it going? You look really pretty in that sweater. I have a few questions for you. I hope you’ll indulge me. Are you still unreasonably afraid of spiders? Probably. You know what? That’s ok. That’s what spouses are for… clearing spiders from anywhere that might interfere with you. Speaking of spouses… do you have one? How’s that going? Awesome. I hope it’s awesome. I hope you two hold hands and take morning walks and go out on dates. Do you still buy the cheap mascara? Have you been to Italy yet? Tell me you still wear a little black dress and heels on occasion. Please. Kids. Do we have Mom hands yet? Oooh, I love Mom hands. I can’t wait to have Mom hands… well I can wait. I’m waiting right this very second and I don’t feel bad. But Mom hands…. I bet we totally have Mom hands. How do you feel about eggplant? Do you like eggplant yet? What’s been good? What’s been not so good? Are you livin’ the dream? Let me know how we are. Send me a sign… maybe a paper airplane with your answers… whatever you need to do. I’ll be sitting here with a cup of tea and my Spiced Apple Cake waiting to hear from you. 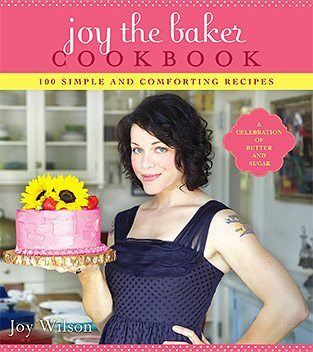 Hi… it’s me, Joy the Baker. I hang out here a lot. So do you. I like that. Thanks. Last week I was nominated for the Foodbuzz Blog Awards. 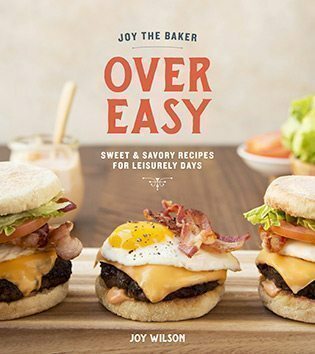 The Best Baking Blog… go figure. If you’re feeling… votey, you might head on over to Foodbuzz to vote for all the fine folks that are up for an award. Yea? Thanks! 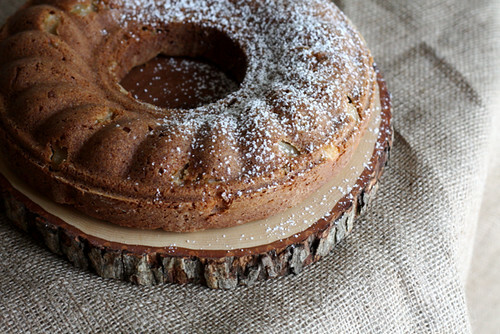 I love this apple cake. LOVE IT! It’s perfectly spiced, full of tart fall apples and moistened with sour cream. 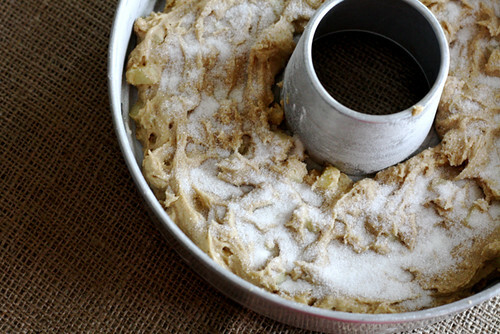 I baked my apple cake in an old fashioned tube pan, but I think this recipe is best made in a 8″ or 9″ spring form pan. Bonus! This cake freezes well. I sliced my cake and wrapped up pieces individually to grab as an afternoon snack at work. 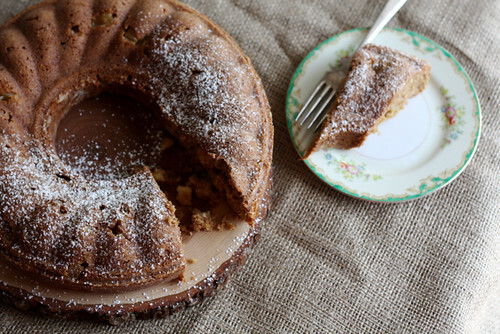 Spiced Apple Cake with hot tea… a perfect world. 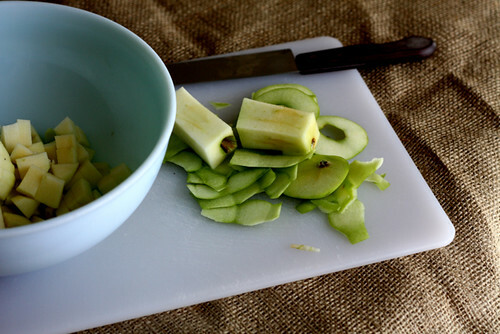 To sautee the apples: peel, core and dice the apples into 1/4-inch cubes. Melt the butter in a saute pan over medium heat until butter beings to bubble. Add the diced apples and cook for one minute, stirring with a wooden spoon. Add the sugar and continue to cook for 2 minutes. Turn the heat to low and cook the apples, uncovered for 4-5 minutes until they are softened. Remove from heat and allow to cool. You’ll only use the sauteed apples for the recipe so you can discard any liquids that may have accumulated. Previous Post: « Sunday Winners! I think your blog is fabulous and I’m totally going to try your peanut butter and bacon cookies really soon! I’ve given you a blog award over at my blog because I love reading your posts and staring at your amazing food photos! I have the need to bake a little something and this will be it. Thanks! Hello Joy of the present. I just had my first taste of apple sour cream bundt cake last night at a friends house. It was divine. The only thing missing? Witty commentary to a future self for accompaniment. Cute post. that’s a cute measuring cup! I am fully satisfied with this post! i’m with you on the eggplant. i don’t even need to ask my future self if she’ll like eggplant, i know it will never happen. 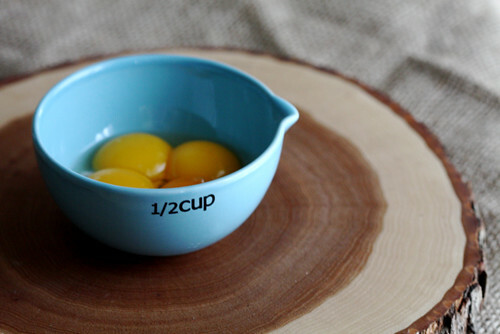 your measuring bowls are absolutely adorable! please tell me you got them somewhere that i could find them also? This looks absolutely gorgeous. I want a slice now! That looks delicious! Also, how could I not vote for a blog that keeps my appetite up and raring to go with beautiful pictures, stunning receipt and plenty of sugar? Loving the blast from the future. :-) You’ve got my vote for sure! i am so excited to create your creation…just bought a new 9″ spring form so i am ready &… needless to say…i LOVE the props!! Oooh, what is with that slab of tree? I’ve gotta have it! And that cute measuring cup, oiy! What’s that? oh, yeah the cake looks delicious to me. I think it will make the perfect breakfast. In my world cake=breakfast! I also agree that eggplant gets a bad wrap. I have a great recipe for eggplant that you put over rice. Most people don’t even know that it’s eggplant. Does that defeat the purpose? Oooh I can’t wait to make this! We have SO many apples from our annual apple-picking trip; I always need another way to get them in the oven. Thanks for the recipe! 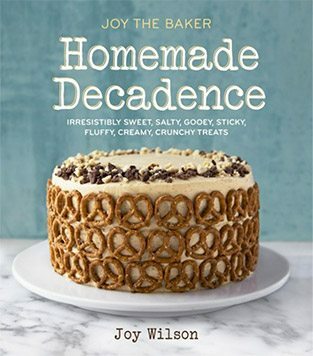 Oh my – another one of your fabulous recipes that’s getting starred in my reader!! I just had a spiced apple cake at a wedding I went to this weekend and I haven’t stopped thinking about it since… It had a nice, sweetened cream cheese frosting on it – to die for! Can’t wait to give your recipe a whirl. but as to the cake, looks lovely.